Dr. Smita Lad was born in India and moved to the United States in elementary school. She worked as a dental assistant in high school to explore her passion for dentistry. 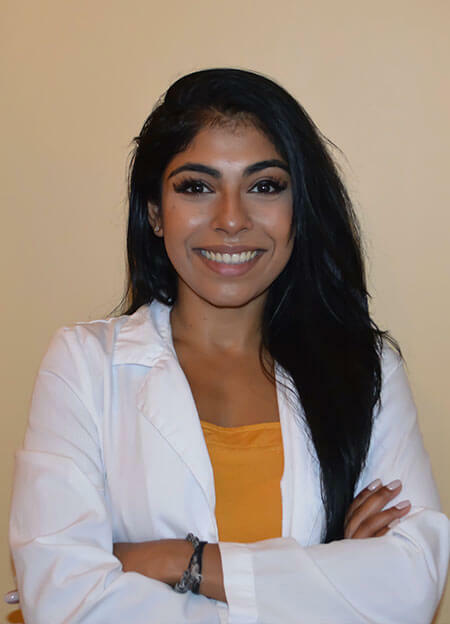 She graduated with honors in Biology from Rutgers University and earned her Doctorate in Dental Medicine from Rutgers School of Dental Medicine. She graduated the Rutgers School of Dental Medicine with honors where she received an award for her commitment to pediatric dentistry. Dr. Lad completed her pediatric specialty training at Temple Episcopal Hospital in Philadelphia. During her residency, Dr. Lad received ample training in oral sedations and behavior management. She is a member of American Academy of Pediatric Dentistry, the American Dental Academy, and the New Jersey Dental Academy. She is certified in Basic Life Support (BLS) and Pediatric Advanced Life Support (PALS). Dr. Lad loves to make all of her patients smile and is truly committed to provide the best oral care to all her patients. Outside of work, Dr. Lad enjoys traveling as well as spending time with her friends and family.